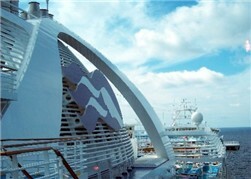 Princess Cruises has created a new "Mother/Daughter Memories" package for those sailing on Emerald Princess. 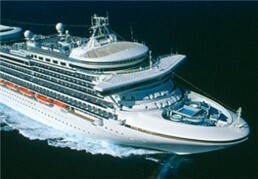 This package, priced at $495 in addition to the cruise fare, is available throughout the year. A custom-designed sterling silver charm bracelet featuring a sterling silver sand dollar charm with an emerald accent, created to commemorate the launch of Emerald Princess. “Exotic Hand and Sole Delight Foot Ritual” -- a Lotus Spa manicure and pedicure. Reserved seats for a wine tasting event. 8”x10” photos of your choice. The package can be reserved onboard by all mother and daughters 21 years of age and older. Emerald Princess will begin its winter season of Caribbean voyages from Port Everglades in October. 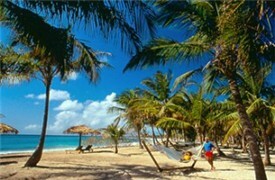 For more information, contact your travel agent or visit www.princess.com. When you go on a voyage, you have multiple options for your time ashore in port. Many of us enjoy booking the shore excursions offered by our cruise line -- just for ease of access and a comfort-level about quality, safety and being back to the ship on time. But shore trips can be pricey. Will the trip will be worth the money? What will the experience be like? Will the excursion be as described by the line? Princess Cruises recently polled its passengers and the results are in. Read on for the list of the best shore experiences in the Caribbean, as determined by the line's own customers! In this Princess Cruises profile, cruise writer Georgina Cruz looks at the line's ambience, style of service, onboard product, fleet and itineraries. In recent years, Princess -- long known for its "Love Boat" image and itineraries along the West Coast and worldwide -- has been pushing hard into the Caribbean market. Princess ships now sail from such southern U.S. ports as Galveston and Port Everglades. Let's join Georgina for a peek at Princess. Famed outdoor adventure writer Michael DeFreitas has written a story for readers about his dive adventures while on a Princess Cruises voyage. Michael outlines the scuba certification programs offered on Princess. 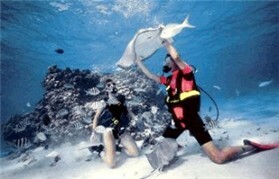 He also offers tips for selecting a cruise itinerary based on diving suited to your skill level. Cruise journalist Anne Kalosh sailed aboard the Emerald Princess, Princess Cruises' newest ship, for one of its first voyages in April. 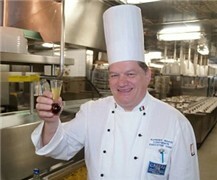 So come along as Anne details the culinary experiences onboard this new ship.